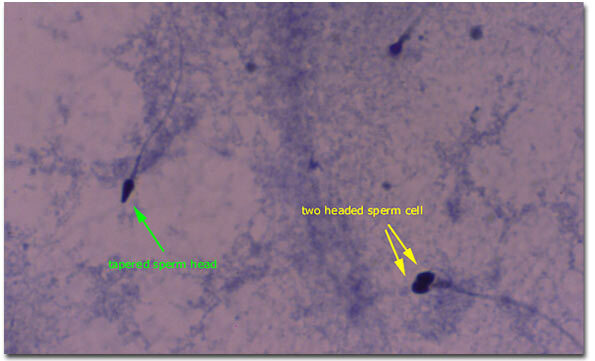 Photomicrograph (microscopic view) of sperm that has been stained with a Papanicolau stain. To the left of the photograph is a tapered sperm head (thin pointed head). To the lower right side of the photograph is a two headed sperm cell (two oval shaped dark nuclei are seen as attached to a single tail).